What Is Postmates Driver Pay Like? What Are the Postmates Courier Requirements? Apply For Postmates – What’s The Application Process Like? 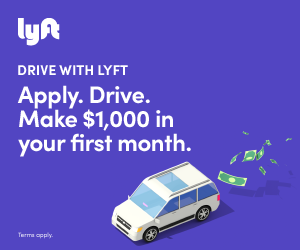 Becoming a Postmates driver (or courier, since you don’t have to deliver for Postmates with a car) can be a great way to make some extra cash. And unlike driving rideshare, you don’t have to deal with passengers, and you can take a friend along if you wish. Even better, in many of the over 550 Postmates cities, you can deliver using a car, motorcycle, scooter, bike, or even on foot. Delivery services like Postmates have expanded rapidly over the past couple of years. Postmates is currently available in over 60% of the U.S., and partners with restaurants like Chipotle, Subway, Pink Dot, and many more. But how do you get a job at Postmates? What’s it like to drive for Postmates? And how much do drivers or couriers earn? Read on for answers to these questions and more in our complete guide on how to drive for Postmates. Postmates allows users to get their favorite food, drinks, and snacks delivered right to their doorsteps. From restaurants to juice bars to food trucks, Postmates makes it easier for you to satisfy your cravings. Postmates joins the pool of food delivery services like Doordash and Caviar, out there working to deliver your favorite foods to your door. But where Postmates is a step ahead of the competition is their excellent service. The service is currently available in over 20 different states throughout the country. Depending on where you drive, there is a great opportunity to make some money. From New York to San Diego to Chicago, you can deliver for Postmates in many locations across the country. If you can’t wait to get started, click the button below to start your Postmates application with our referral code link. If you use our code, you could be eligible for a Postmates sign up guarantee. Generally, you must sign up with a Postmates referral code to be eligible for the guarantee. What Do Postmates Drivers Do? Working for postmates means you are the one responsible for filling orders. Because you will be the ones on the front lines, it’s very important for you to provide great customer service. But what’s the actual Postmates job like? There are a variety of ways for you to work. Whether you choose to drive a car, a motorcycle or ride a bike is up to you. A lot of this decision also depends on where you live. Keep in mind that Postmates is not in any way responsible for the maintenance costs of your vehicle. Because of this, having a vehicle that is reliable and that is kept maintained regularly is essential. As was mentioned before, couriers create their own schedule. This flexibility allows you to choose however much or little you’d like to work. After downloading the app and setting up a courier account, you’re able to keep an eye out for orders to start coming in on the Postmates Fleet app. Postmates Fleet is a separate app from the regular customer Postmates app. From there, you can start accepting orders. After collecting the items in the customer’s order, simply go to their address and bring them their order. The job is straightforward, and schedules are very flexible. Whether you’re looking for a part-time gig or something you can do full-time, driving for Postmates is a great opportunity for anyone in need of a little bit of extra cash. Here’s a great little video that shows exactly what using the Postmates Fleet app and delivering for Postmates is really like. It really depends on your market and which hours you work. One survey says Postmates drivers make $19.11 per hour. Postmates itself says drivers can make up to $27 per hour, although that’s probably too optimistic for many markets. While you may be able to make that (or more) in certain cities, the national average is lower. Simply put, driver pay can vary a lot from market to market. In most small to medium size markets, Postmates couriers make around $10 – $15 per hour before expenses. If you sign up to drive for Postmates in a larger market like Chicago, Los Angeles, or New York City, you can expect to earn more, especially during busy hours. There are also cities where delivery services are incredibly popular, which of course pushes demand for couriers higher. Delivery services like Postmates are are heavily in demand in Brooklyn, Ft. Lauderdale, Las Vegas, Miami, and Phoenix. But no matter your city, delivering for Postmates can be a very lucrative opportunity for anyone, during certain hours. And the ability to work as much or as little as you want can be a great chance to make some money. Working for Postmates allows you to create your own schedule. Instead of reporting to a single location to work every day, Postmates couriers work whenever they have time. This is perfect for those who are looking for a side hustle or for anyone that is currently in between jobs. Drivers are simply expected to provide great service and complete orders quickly. It’s very important that you’re able to keep your orders organized and that you stay focused. Postmates offers a unique opportunity for people to work on their own time. But how does this actually work? One of the most important aspects of the job is getting tips. If you work for Postmates, you keep 100% of the tips you make on deliveries. And on Postmates, the amount a customer tips does not decrease the amount a courier earns. Tips can make a big difference in how much money you end up making per order. While it can be great when people do give you tips, you are likely to run into some cheap customers. Without tips, the job ends up paying a little bit less. However, most Postmates customers tip. So, if you’re using Postmates as a customer and not tipping, you’re doing it wrong. In addition to relying on tips, there are also different fees that you need to consider about the job. Between vehicle maintenance and fees deducted from each order, it’s vital that you’re organized and focused when taking orders. After a while, you will slowly develop your own strategies for maximizing your income. While working for Postmates can be a wonderful opportunity, not everyone can get a job with Postmates. It’s important to take some time to find out whether you’re qualified before you go through the application process. Working for Postmates can be great for a variety of different people. But what does it take to join the team? Before you get started with working through the application process, there somethings that you can do to make sure you qualify. Not only will you have to apply normally, but there are a few requirements for the job. While it may seem like common sense, it doesn’t hurt to know. If you meet these requirements, it’s time to move onto the actual application process. Joining the Postmates Fleet starts with opening a driver account and starting your application. The account creation process will ask for basic information like your name, date of birth, and phone number. You will also be asked to select which market you’re located in, the type vehicle you’ll be using, and to enter a referral code if you have one. You will also be asked to enter a home address so you can be sent a pre-paid Postmates credit card. This card is for you to use when picking up orders. This especially comes in handy when customers haven’t paid for their orders. The next step to joining the Postmates fleet is looking through the Fleet Agreement. This is essentially a terms and conditions document that goes provides an in-depth look at the job itself. After reviewing this information, the next step is to authorize a background check. It’s important for customers to feel safe and comfortable using Postmates. This check will search various Federal and State databases for a personal criminal history. From there, you simply need to complete the registration process. This includes uploading a nice profile picture and setting up a location and method for receiving payment. After creating your Postmates Fleet account and receiving your Postmates welcome kit, you’ll be ready to go online and start delivering orders. Now that you’re a part of the Postmates Fleet, it’s up to you to uphold the company’s standards. But what can you do to ensure you’re doing your job well? What Makes a Great Postmates Courier? The best Postmates couriers provide the best service they can. This is an important part of the job, especially for new couriers. Not only do couriers act as the face of the company, but customers also expect their orders to arrive on-time. The job can sometimes be a very high-pressure, but it’s important to step back and try to enjoy yourself. The key to success as a driver for Postmates is being prepared, completing orders quickly, and getting tips. Postmates courier making a delivery. Becoming a great Postmates driver means working hard to always get orders done and engaging with customers. Check out these helpful tips to get you started as a driver. Not only will these tips help you better understand what it means to be a part of the Postmates Fleet, but they will also help you make the most of your time, so you can drive profitably. One of the most important steps to becoming a great driver is knowing your way around town. Getting familiar with the ins and outs of your city can help minimize your navigation time. While you probably won’t be able to master every street in your city, you can take a minute to familiarize yourself with how neighborhoods and areas are laid out. Locations like New York City have very specific ways in which areas are sectioned from one another. Understanding these divisions can help you navigate quickly. However, there is a very good chance you’ll still have to rely on a GPS of some kind for most of your orders. In this case, it’s best to have a mount of some kind for your phone to navigate hands-free. While getting orders completed on time is a big part of your job, safety is the number one priority. It also helps to know where the more expensive restaurants are. These places usually have more expensive items on their menu, which means more money for you. At the end of the day, the best way to get familiar with your surroundings is to go out and explore. Whether it’s while you’re working or just for fun, it never hurts to see what’s around you. Customer service is an important part of driving for Postmates. Not only does it reflect well on the company as a whole, but it can also say a lot about you. Good customer service is more than just doing what is expected. Going that extra mile can result in more tips and repeated orders from the customer. In addition to double checking your orders to make sure you get everything, there are other little things that you can do to take your job to the next level. For starters, grabbing extra napkins, utensils, and additional sauces can make a difference. While some may not even notice this, there will be some that appreciate the gesture, and tip accordingly. Delivering the order in person is another way to make the customer’s experience more personal. While there will be situations where you’ll have to leave the order at a leasing office or have them meet you halfway, it’s always nice to try to bring the order right to their doorstep. When the customer receives their order, make sure you give them a receipt. Each receipt will have your name printed on it, making it easy for them to call in case there was something wrong with the order. Providing customers with this kind of service not only increases your chances of getting tipped well, but it encourages them to order again. Where you’re located can play a major role in what kind of Postmates orders you receive. If you’re located in major Postmates cities like New York, Los Angeles, or Chicago, you’re more likely to have better luck with getting more orders. But that’s not to say there isn’t anything in smaller cities. As Postmates continues to grow, more people will begin using it. An important part of this growth revolves around great customer service. When one customer has a great experience, they are likely to recommend it to a friend. While you might not be able to do much about where you live, you can do something about when you work. Because Postmates lets you make your own schedule, you can choose to work when you know it’ll be busy. This might take some trial and error to figure out, but it can also be the most beneficial for you. In most Postmates markets, the busy times are during the lunch and dinner hours. A good number of drivers for Lyft or Uber often drive delivery for Postmates during lunch or other times when Uber or Lyft aren’t as busy. However, when it gets busy really differs from market to market. Some Postmates markets are busy during normal mealtimes, while others actually get busy in the mornings or late at night. It ultimately depends on where you live and how customers around you behave. A big part of doing well at Postmates is how you choose to manage your time. Deciding which orders to accept and how many you take on at one time can make a huge difference. Some choose to accept multiple orders at once. This way, you can pick up all the items at once and deliver them one after another. While it is a great way to complete a lot of orders quickly, you will have to deliver them in the order they were received. It’s an annoying quirk of the Postmates system. Another strategy is to enable the “auto-accept” function on the app. This will automatically add deliveries to your route. At the end of the day, maximizing your profits depends on how you choose to manage your orders. However, the more orders you take, the more your take is likely to be. Should You Become a Postmates Driver? Services like Postmates are allowing more people to make their own work schedules. The freedom and flexibility that comes with driving for Postmates can be tricky to manage at first. But over time, you will get the hang of how to use your time wisely. But how do you know if you should drive for Postmates? This depends on your personal situation. If this flexibility is something you need in a job, then it may be the perfect fit. If you’re ready, click the button below to get started as a Postmates courier!